Twinkies are an infamous American snack cake known for its golden sponge cake with a creamy filling. Have you ever wondered how the delicious snack is made? 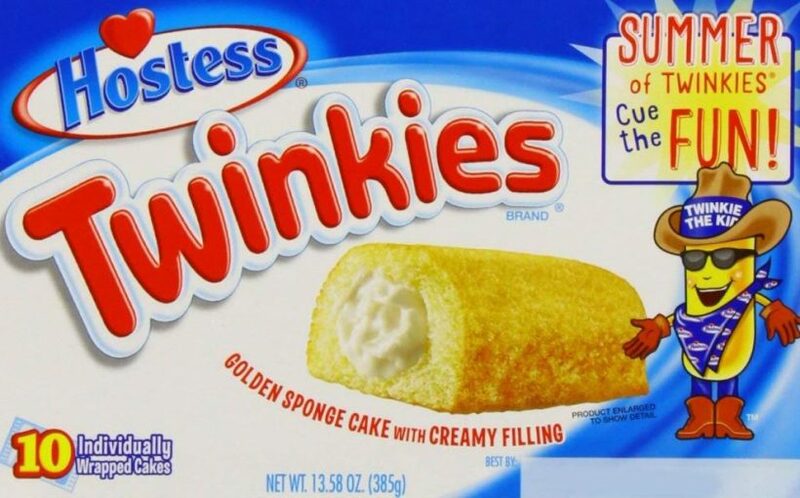 The main ingredients in Twinkies include wheat flour, sugar, corn syrup, niacin, water, high fructose corn syrup, eggs and shortening. They’ve been available since 1930, except for a brief absence ten months from November 2012 to July 2013. The original cake was created by James Alexander Dewar, a baker for the Continental Baking Company. After realizing that machines that were used to make cream-filled strawberry shortcake were idle when strawberries weren’t in season, he decided to make a sponge cake filled with banana cream. During World War II, bananas were rationed and so the company switched to the vanilla cream it’s known for today. Other than for a brief promotion, the banana filling has never come back. Of course, the vanilla cream is also cheaper for the snack maker. Watch the Today show go behind the scenes to see how the classic snack cakes get their fluffy texture and creamy filling. Next Post:How Are Noodles Made?